Insurance companies get a bad rap, but sometimes they deserve it. If you’ve been in an accident, all you want is to have your car repaired and your injuries taken care of. That’s not so much to ask. That’s why you got insurance in the first place, right? Sometimes, however, your insurance company might not play ball. They might delay or even deny your claim, and then you’re left in the hospital or in the automotive shop, wondering what on earth just happened. You sent in all your paperwork, but they didn’t respond very quickly. In fact, it took weeks. Then they didn’t offer any sort of reason for denying your claim. They just sent you a form letter, and that was that. There are two types of bad faith claims. A first-party insurance bad faith claim is when an insurance company unreasonably refuses to pay a claim or properly investigate a claim. A third-party insurance bad faith claim, on the other hand, is when an insurance company unreasonably fails to defend, indemnify or settle a claim within policy limits or investigate a claim for a different party – such as when the insured (first party) buys insurance from the insurance company to protect against claims from another (the third party). Enjuris tip: Common law is judicial precedent, what has been developed through decisions made in the court system, and statutes are laws that have been created by lawmakers. The idea here is that insurers are obliged to act in good faith and to engage in fair deals. This has evolved through common law. There are no first-party bad faith claims in Florida under common law, though they do exist under statutory law. Third-party claims get to choose between both. Statutory bad faith cases are behind the majority of Florida’s bad faith litigation because the law is so clear and uncompromising. This also includes third parties. They have to clearly choose between common law and statutory claims, however, and cannot proceed with both at once. Failing to clearly explain the nature of requested information and the reason why such information is necessary. Under Florida law, a third-party claim is part of the insured’s claim – so it wouldn’t be a separate cause of action. Additionally, the insurance company has to be given 60 days to cure the alleged bad faith violation before any further action is taken, so if they come back and pay the money that’s owed, then no bad faith action can be initiated after that. What if they don’t cure the bad faith violation? First, ask to speak to the adjuster’s supervisor. You want to make sure that you’ve dotted the I’s and crossed the T’s before you take any drastic measures. However, if the supervisor takes the same position, then lawyer up; you’ll be playing hardball yourself. 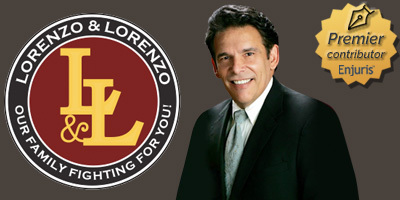 An insurance lawyer or a personal injury lawyer is extremely helpful in this regard. Additionally, reporting your insurance company to the state insurance board will make sure that this doesn’t happen to anyone else. The insurance board can start an independent investigation and institute fines if necessary. It’s important to remember that just because an insurance company rejects your case doesn’t mean it’s automatically a bad faith claim. Speaking with an attorney can help you understand your rights and whether you are looking at the situation in an unbiased way. 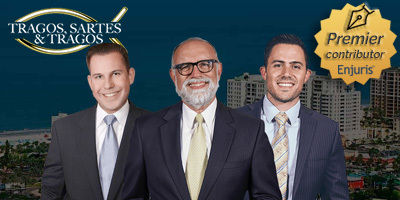 Consider sitting down with an Enjuris listed Florida law firm.